The executioner's blade! Sentenced to die for crimes against the empire, Aric of Dacia and his new comrade, Sabbas, have escaped the gladiatorial arena...only to find themselves in far more dire straits! 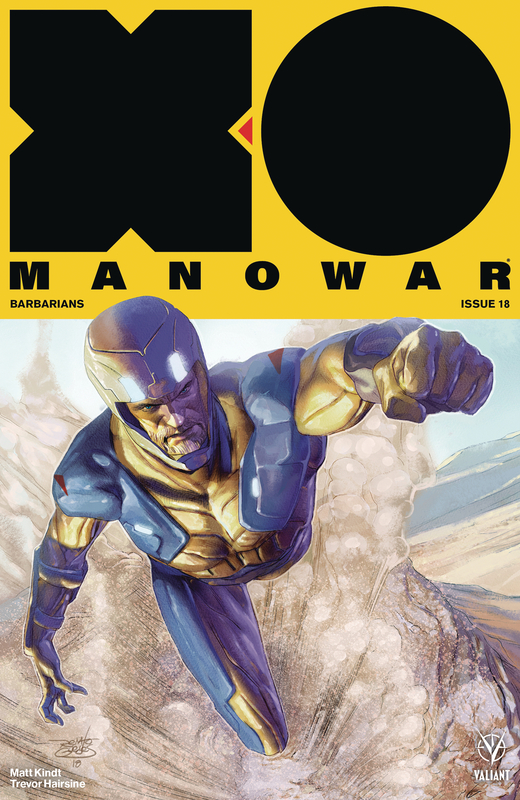 Centuries before he would become X-O Manowar, can a brasher, younger Aric - sworn to combat the Romans at any cost - outwit and outmaneuver the machinations of the planet's most powerful civilization...even as death threatens him and the fate of the entire Visigoth nation?